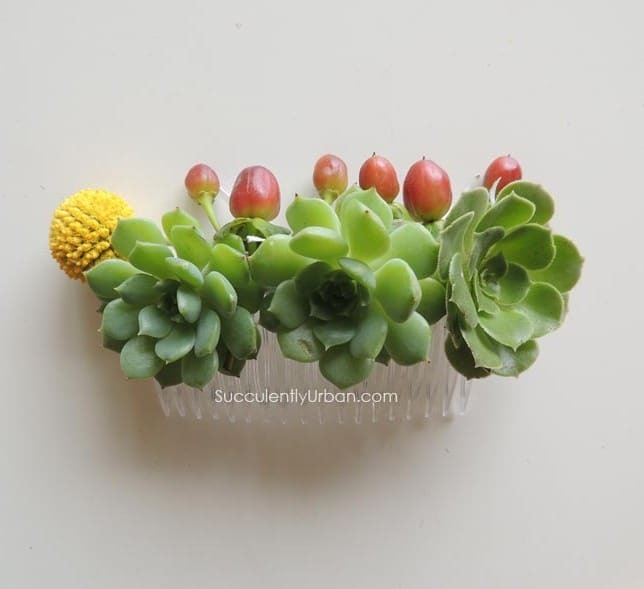 It is made with green echeverias, accented with hypericum berries. It may be created with purple or blue succulent and pink or white berries. Please contact me about package pricing.